How Did the 2017 Tax Reform Law Impact Charitable Giving and What Can We Do About It? Having trouble navigating the complexities of 2017 tax reform? Wondering how your work and our sector is being impacted now…and what the future holds? 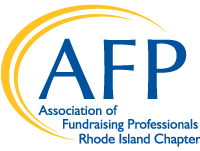 Get answers on May 16th from expert Jason Lee, JD, from AFP's International Headquarters. He’s got his finger on the pulse of what’s happened so far, what’s coming down the pike, and what we can ALL do to be proactive for the sake of our organizations, our donors, and our sector. Jason Lee is the Chief Advocacy & Strategy Officer and General Counsel of the Association of Fundraising Professionals (AFP), representing individuals and organizations that raise more than $100 billion in charitable contributions every year around the world for countless causes. In his role, Jason provides executive leadership for the association in the areas of chapter engagement, membership relations and marketing, communications, public policy, political action, and legal. Jason represents the association in public policy and legislative matters before Congress, the Canadian Parliament, the U.S. and Canadian Administrations, state and provincial legislatures, and various regulatory and other pertinent agencies.